Situated just off the A31 at St Leonards, Dorset, you will find Oakdene Forest Park. 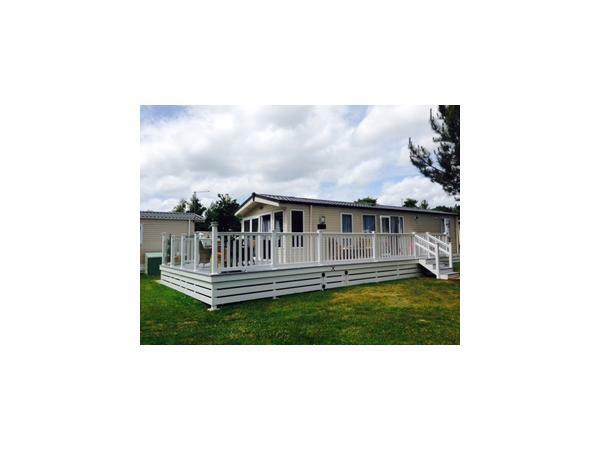 Within easy driving distance to Ringwood, Ferndown, Christchurch, The New Forest and Bournemouth. From our larger than usual part glazed and gated decking and through the patio doors is the lounge which seats 4 comfortably as does the dining table. A Samsung 42" curved Smart TV and a DVD player should keep the younger ones amused! 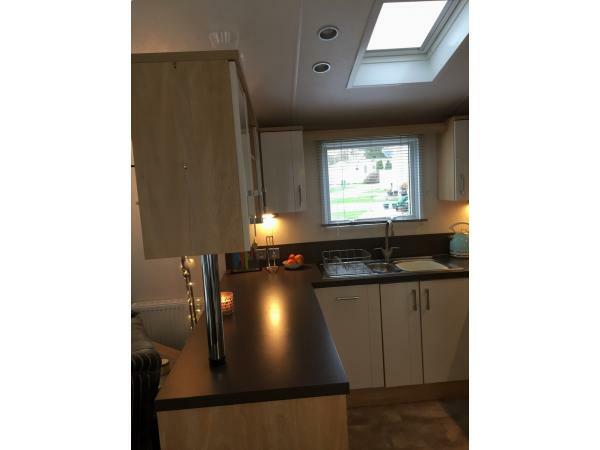 There is full central heating throughout which makes it nice and cosy. The kitchen has a 5 ring mains gas hob and oven, no bottles to deal with. A 60/40 fridge/freezer, microwave, washing machine and dishwasher. 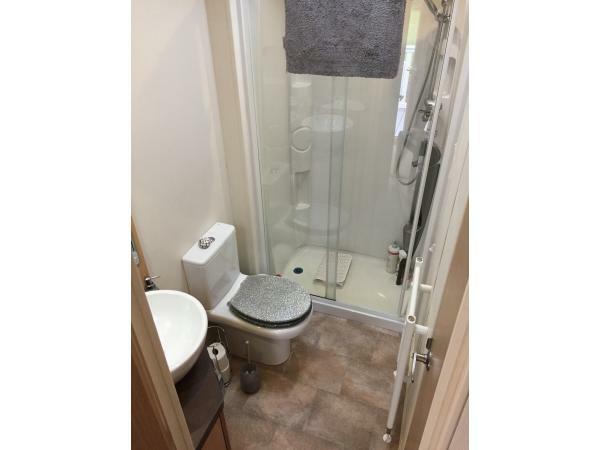 The bathroom has a good size shower cubicle, toilet, hand basin and heated towel rail. 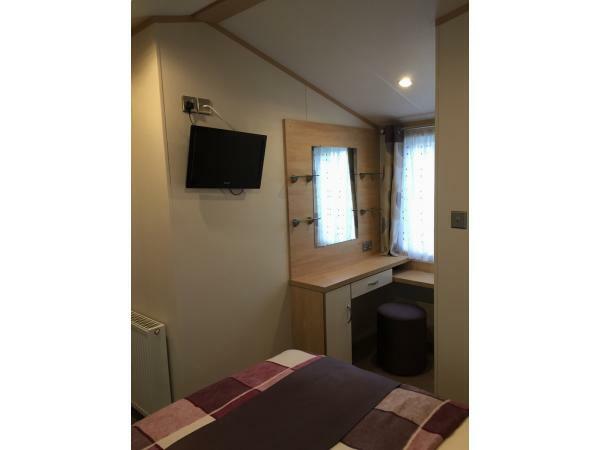 The bathroom can be accessed from the hall and Bedroom 2 which has 2 single beds with storage cupboards and lights over and a wardrobe with 2 drawers. 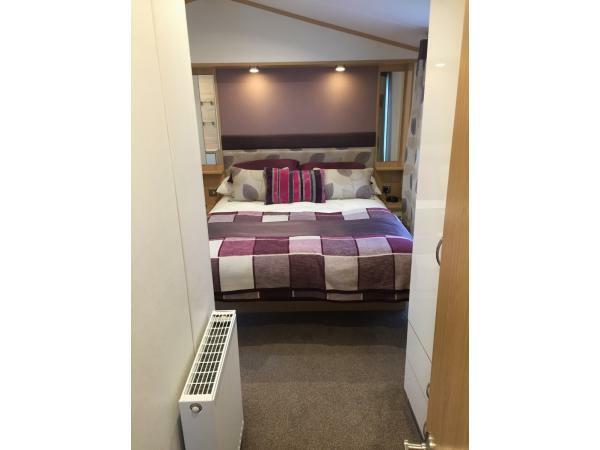 In the main bedroom is a king size bed with lights over and 2 bedside tables, a dressing area with 2 cupboards, a drawer, stool, large mirror and double socket, 2 double wardrobes with shelves and drawers and a wall mounted TV. Owing to family using the home, there is a locked cupboard in the main bedroom which holds our personal holiday bits and bobs. 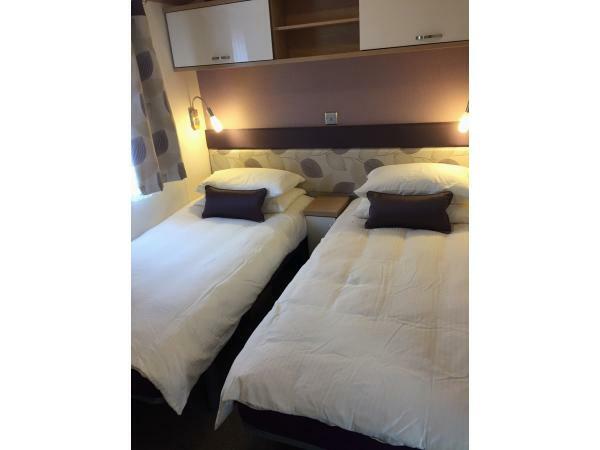 2 single, 1 kingside duvet and 4 pillows are provided, all with protectors. Please bring your own bed linen, towels and tea towels and any extra pillows. Passes can be purchased at a reasonable cost at main reception , under 5's go free, these are required to use the Pools, Oak Room and Gym, these passes also entitle you to receive 10% off food and drink in the bars. What a beautiful holiday home - probably the best we have stayed in! 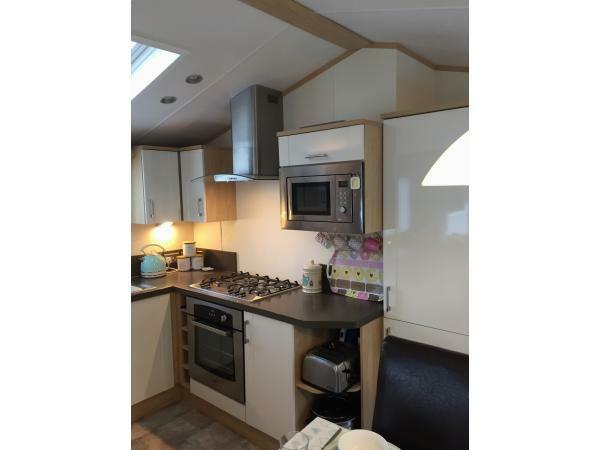 Excellent location in a quiet cul-de-sac offering lots of open spaces to enjoy the outdoors and local wildlife :) modern, stylish furniture and decoration make this a more than comfortable place to relax and unwind while on holiday. We particularly liked the full size single beds in the twin room and the king size in the master suite too. Josie was more than helpful and replied immediately to any emails we sent. - thank you for a great Easter break. It's a long journey for us down to Doreset- but we will definitely be back! Thank you for your taking the time to write your review, amazing. I look forward to seeing you in the future. Thank you Sean, it was a pleasure having you stay, look forward to welcoming you back soon. Thank you Lisa for your fantastic review, you are more than welcome to return, look forward to it.